Flight departed on schedule! So excited to fly to Tacloban! Time to board our plane! My seatmate and roomie, Nicole! Lovebirds Seph and Trice and hot momma Yen! Finally landed in Tacloban! Yey! Warm welcome by Sir Bing Lumbre, Product & Market Development officer of Department of Tourism Eastern Visayas! Our service during our trip! Our first stop is Hotel XYZ for lunch! This is also where some of our companions stayed. 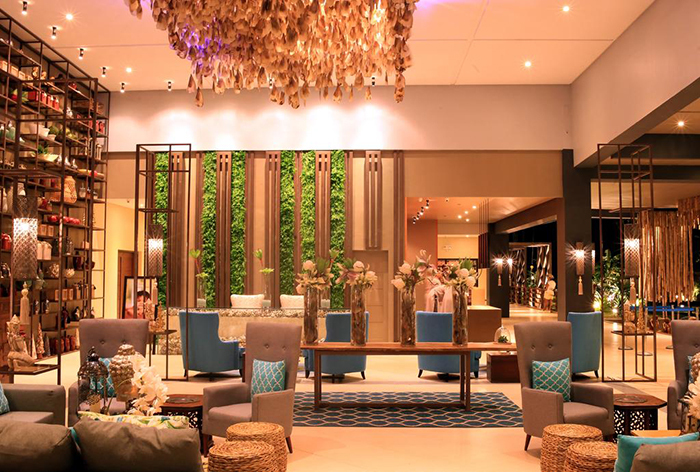 It's a lovely boutique hotel in Tacloban City! Rooftop of the hotel. Nice view of the city! So many excited and happy people waiting for the parade to start! To give you a brief background, here are a few fun facts about TACLOBAN! 1. Tacloban became the provincial capital of Leyte in Feb. 26, 1830! 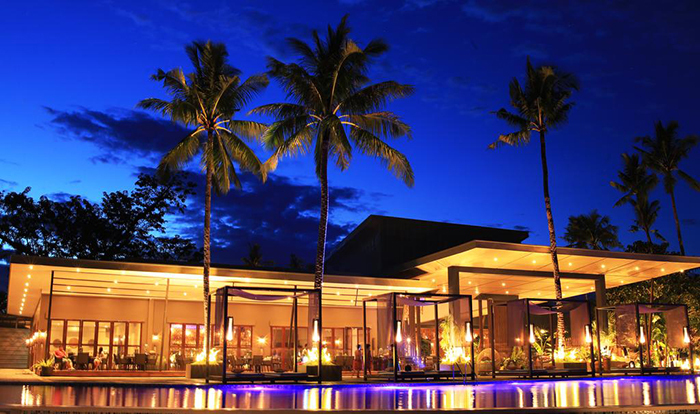 They chose Tacloban because of the ideal location of the port and their well-sheltered and adequate facilities. 2. 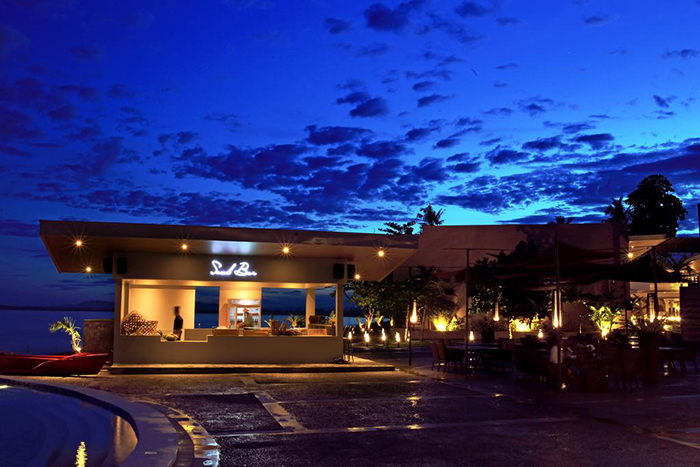 It serves as the regional center of Eastern Visayas having the biggest population of more or less 300,000! 3. 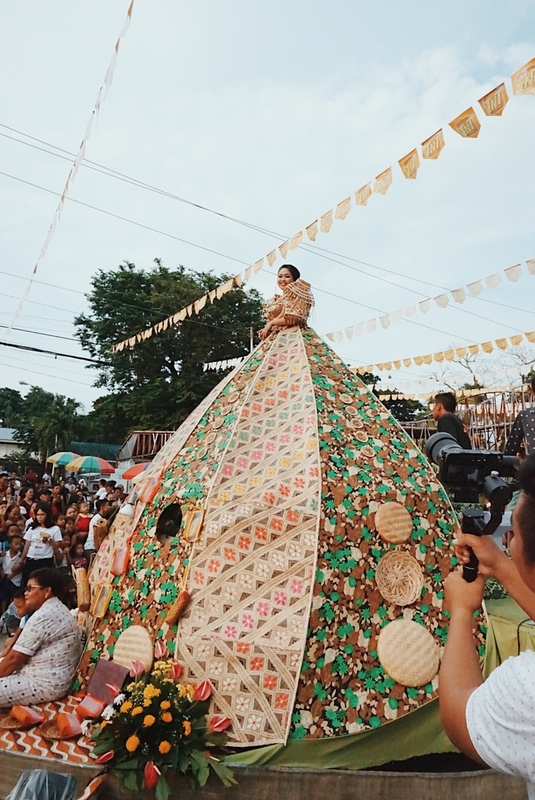 The name Tacloban came from the word "taklub", a bamboo fish-catching contraption used by the Kabatoks (the city's early inhabitants) for hunting. 4. The arrival of Colonel Murray in 1901 made him the first military governor of Leyte. His first official act was the opening of Tacloban port to world commerce. 5. Leyte was the first to be liberated by the combined Filipino and American troops druing World War II. On October 20, 1944, General Douglas MacArthur fulfilled his famous promise "I shall return" when he landed in the Tacloban and Palo beaches which meant victory for the Filipino and American forces. 6. On October 23, 1944 at a ceremony at the Capitol Building in Tacloban, MacArthur, accompanied by President Sergio Osmeña, made Tacloban the temporary seat of the Commonwealth Government and temporary capital of the Philippines until the complete liberation of the country. 7. Paulo Jaro was the Liberation mayor of Tacloban. The first mayor of this capital upon inauguration of the Philippine Republic was Epifanio Aguirre. So many happy & friendly faces! So what is SANGYAW Festival??? 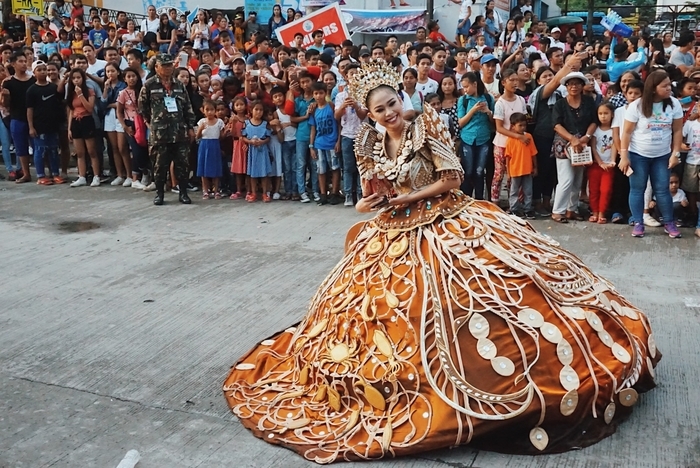 Aside from Pintados, Sangyaw Festival is the other festival celebrated in the city of Tacloban. 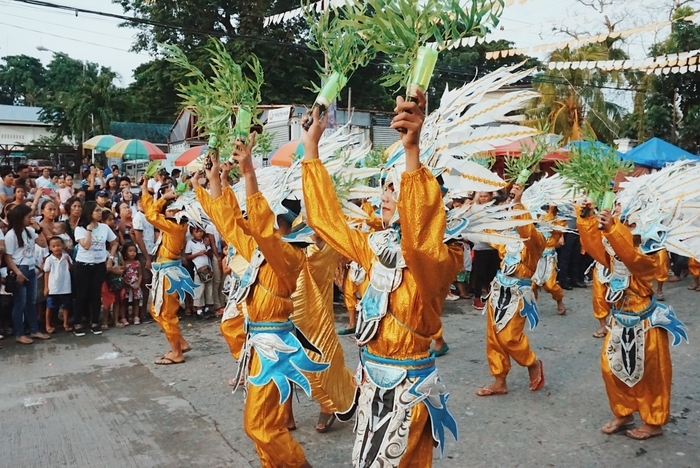 Sangyaw is a popular religious & native festival held every 29th of June which means “to herald news” in the local dialect. 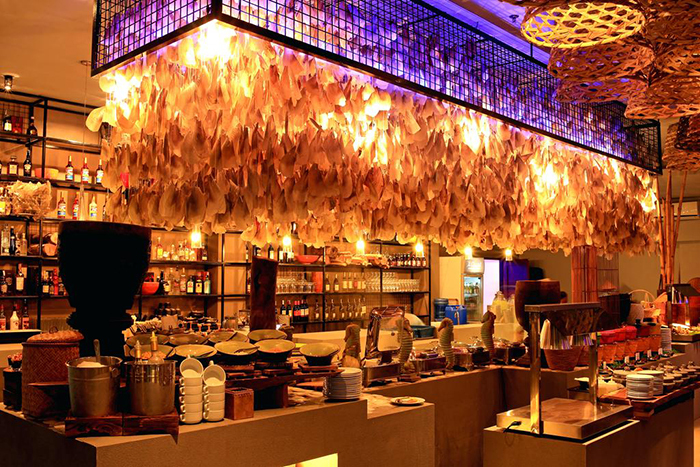 It was created by Former First Lady Imelda Marcos in 1976 but was abolished by the late President Corazon Aquino. 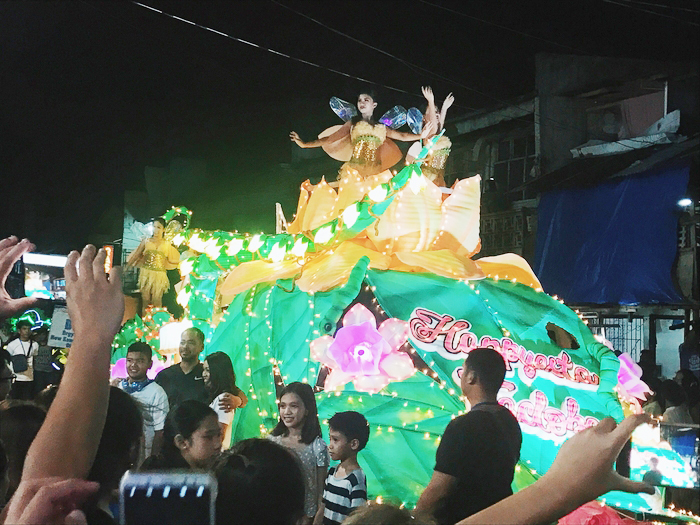 It was then revived in 2008 by Mrs. Marcos' nephew Mayor Alfred Romualdez and was widely accepted by the Taclobanons across the region. 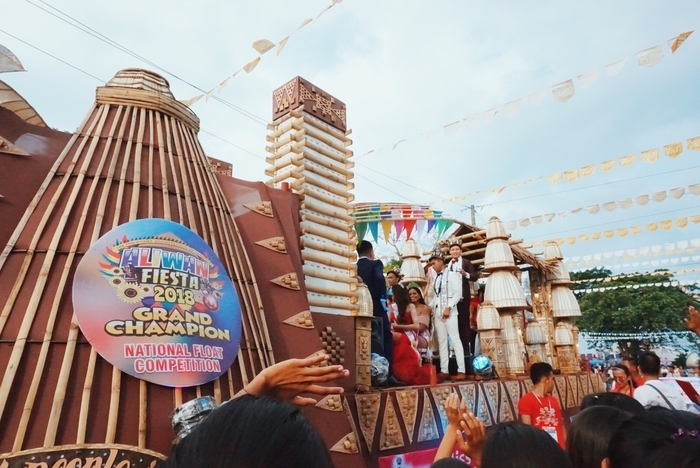 The 129th fiesta celebration showcased the city's rich history, traditions, heritage, arts & cultures through different performances & through wonderful floats! Bida ang saya with Jollibee!!! Shempre d papakabog the AirAsia float!!! So cute!!! After an hour of waiting on the side of the street, the parade finally started! Woots! 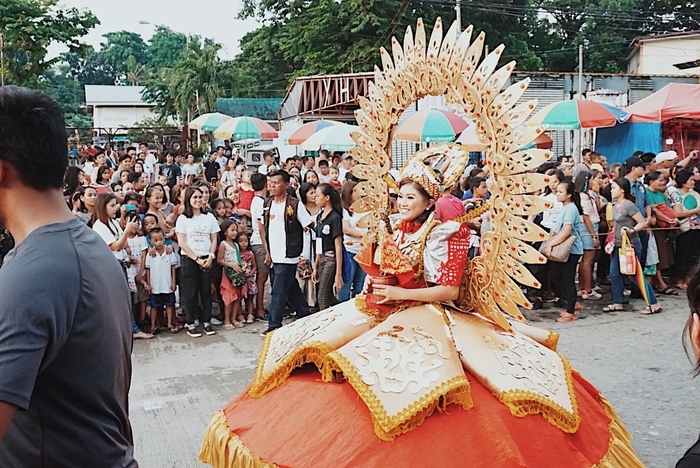 President Duterte made a surprise visit to Tacloban for the festival. We thought sasakay sha dito. Hehe. 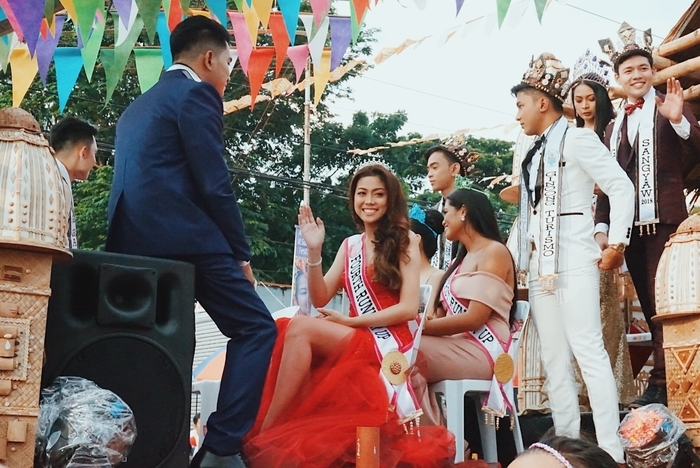 Miss An Maglipayon USA 2018 winner! Yasss Never Lost. Buti pa sila. Hehe. ganda ng sa Brgy. 35-A! Gorgeous! And wow her costume! But this is the most bongga of them all. My favorite! And alam mo ba kung ano sha? 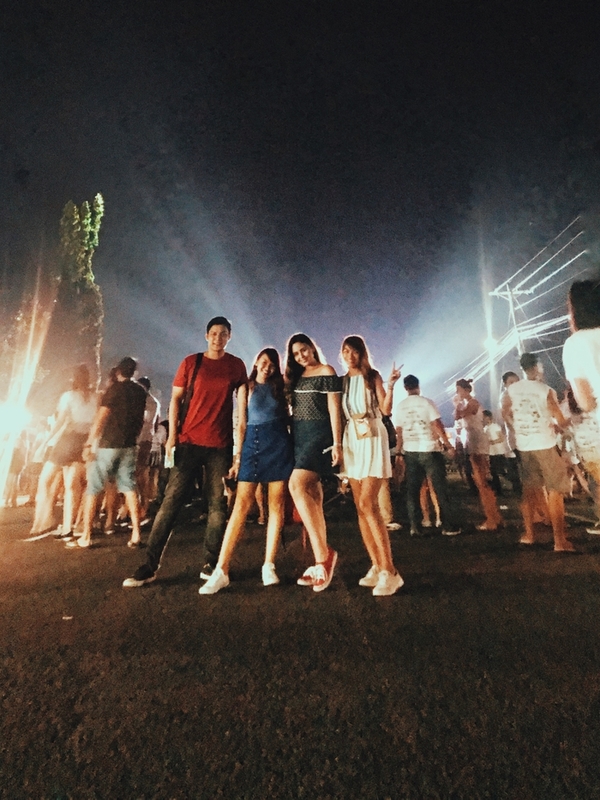 They re-created their famous landmark, the San Juanico Bridge! WOW! Most of them are carrying different images of Sto. Nino. Reminds me of Sinulog too! My favorite float. Enge pong lechon! And then came the AirAsia float! 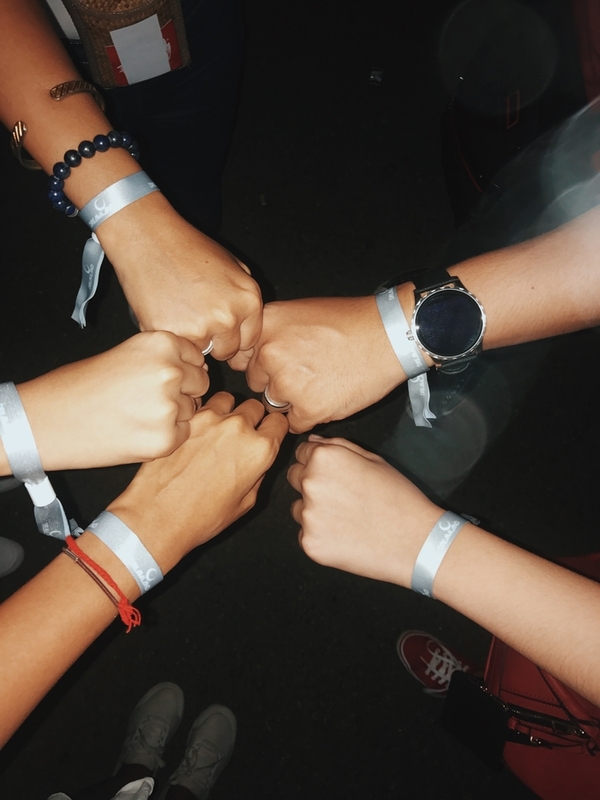 They asked us if we wanted to get on it, we said yes! 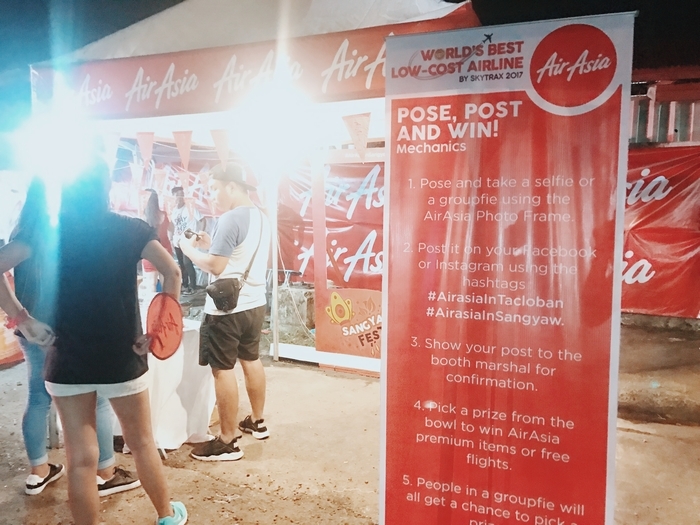 We handed out AirAsia merchandise and these fans were a huge hit! Best part? Nasa likod namin the float of Jollibee!! Kilig na kilig ako haha! It made everyone, especially the kids, smile! We got off near Bo's Coffee. It's already sunset and start na ng Festival of Lights! Got mesmerized by all the beautiful lights, wonderful performances and amazing floats! 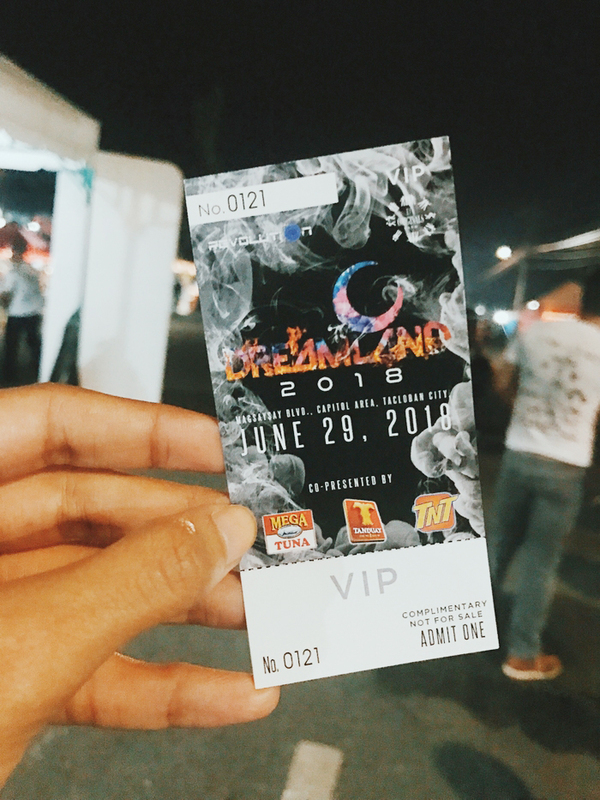 After our delicious dinner at Lorenzo's Way, we headed straight to DREAMLAND 2018 to party a bit! It was a pretty long day so we were all excited to retire for the night! And our home in Tacloban for 3 days? The Oriental Hotel!!! Nicole and I shared this amazing beachfront twin room! Our room was so cozy! The bed, pillows and sheets made me sleep like a baby. Hehe. My only complaint was that the toilet flush's not working. Overall it was an amazing stay! Their staff are all friendly and helpful. Super sarap also their food! I ate so much. Hihi. 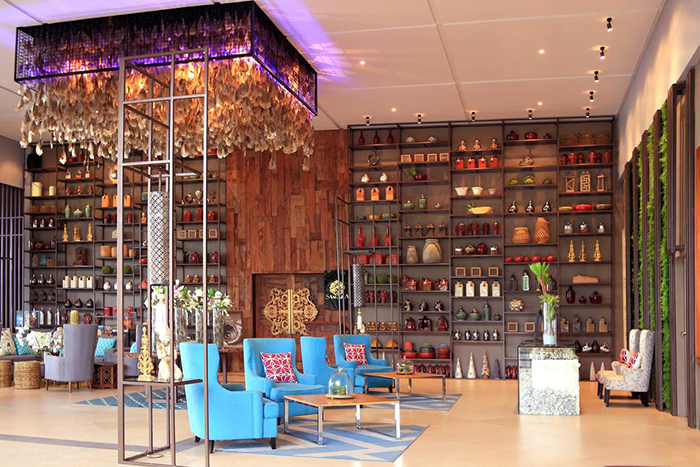 Also loved the hotel's interiors, love the oriental feel and vibe! Wish we could have stayed longer but more reasons to come back, right? 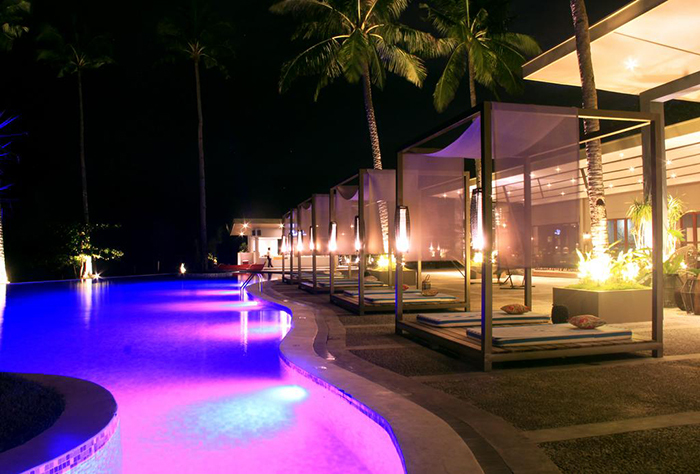 We had a jampacked itinerary so I was not able to swim and experience their amazing pool. Next time! Have drinks at the Sand Bar! I wasn't able to take photos of their food but there was a wide assortment and masarap! My favorite was the lechon and pasta! 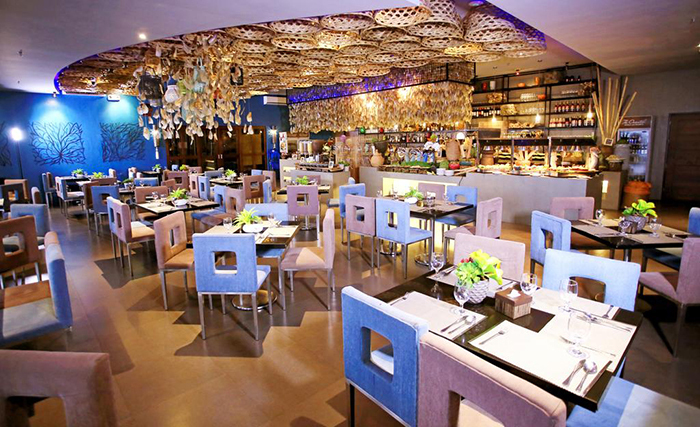 Offering a wide array of local and international cuisines, Samsara Restaurant and Sand Bar will give you a memorable dining experience throughout your stay. Favorite spot outside! So chill! In the middle of dinner, we were treated to an amazing performance by their staff! So galing their firedancers! Loved the effects ha! May pa fireworks pa! Such a beautiful night! We woke up early the next day, fueled ourselves by eating heavy breakfast and excitedly left the hotel not knowing what to expect from our scheduled tours. 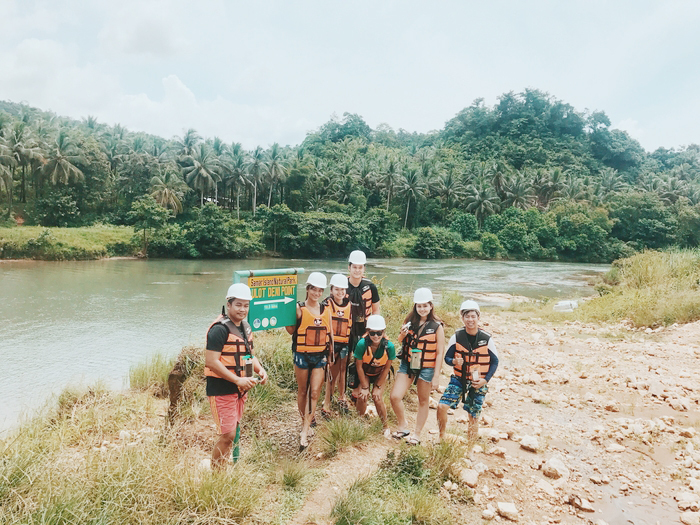 From Tacloban we drove North, all the way to Samar (just a quick 1 1/2 hours ride) for our first activity-- the ULOT River Torpedo Boat Adventure! On our way, we saw the M/V Eva Jocelyn Memorial Marker at the town of Anibong. It is one of the cargo vessels that was swept ashore during the typhoon which killed many. The starting point of the Ulot River adventure is this house along the road in Tenani, Paranas, Samar. We got off the van and went inside the house to register and to put on helmets and life vests. Safety first, always!!! We left our things in the van and only brought what we need which we secured inside a waterproof bag. My list includes my cellphone (enclosed in a waterproof case given to us the night before by the Dreamland organizers), lip tint (para kissable lips anywhere, everywhere haha) and powerbank! That's it. I wanted to leave my phone na din because no signal at all in Paranas (No Globe, Smart or Sun or any haha) but I thought instead of my camera, I'll bring my phone nalang for documentation. I also didn't know what to wear for this activity that I even researched about it. Since mejo extreme, I just wore a sports bra, tanktop, shorts and flip-flops. D nako nagpacute cute na outfit haha. Okay naman sha for this. Approved! Haha. Next time I'll wear a rashguard coz I got toasted talaga! Two shades darker after. Huhu. Helmet and life vest muna! Ganda ng river noh? 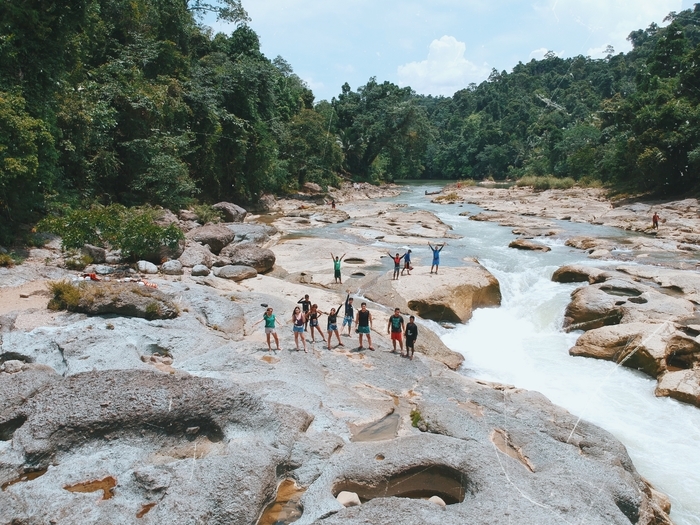 ULOT is Samar's longest river! Our ride! Thin, wooden motorized boats. Exciting! And we're off! We were asked to sit on the floor and just hold onto the side rails. Everytime Kuya moves it tips the boat to the side! I thought we were gonna fall off haha. The ride was not as intense as I expected it to be. There were a few parts where the water got rough (for 2-3 seconds) and we got wet, but it was not scary at all. For an adrenaline junkie, I honestly expected more. But if you think about it, this is actually a nice activity for the whole family because everyone gets to experience and enjoy it! I even saw a family with their Lola with them. And what makes the 40-minute boat ride worth it is the amazing landscape and lush scenery you get to see along the way. Fresh air, locals waving at you from their huts, soothing sound of birds and other animals, it made me think-- "Ang ganda ng Pinas!". All of my worries were automatically washed off by all the beauty around me. We got off the boat upon reaching Deni's Point. This area is where the current gets super wild and tourists could spend time to eat, rest, take photos or jump off the rocks into the raging river. SO MUCH FUN! We were not that wet from the boat ride so I thought I won't swim anymore so no hassle na of bathing and changing clothes after. 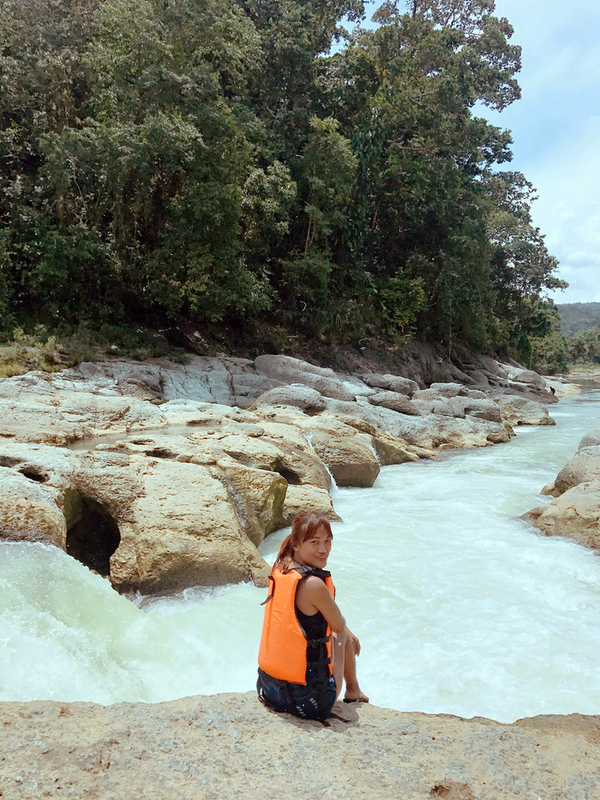 But it was scorching hot, as in literally nasunog ako and I was starting to feel weak from the heat, that when Seph announced he'd jump in the river, without second thoughts I jumped right after! Haha. Best decision eveeer. I thought no one's gonna try it na and that we'd go back after taking lots of photos but buti nalang Seph started it! Soon after more people followed. I also jumped again! I could jump 10x more but we don't have much time. Hihi. Scary the raging water but it was not scary na after I jumped! Drone shot by Seph! Sa right side is where you jump off. Wear your life vest because the current is really strong! The rocks are also hot so Kuya made me bring my slippers. He tied it to my vest hehe. ... but she changed her mind. Huhu! Minsan iniiwan talaga tayo sa ere eh. Haha love you girl! Thanks Yen for my boomerang! Breakdown of costs. The torpedo boat adventure is P1825 maximum of 5 persons. Not bad! Just contact the numbers above if you plan to book a tour! They have a bathroom in the hut, so we all washed up and changed first (didn't take a bath na) and then we left na for our next stop-- San Juan by the Bay Floating Restaurant and Boardwalk! You could also reach the restaurant through this 400-meter boardwalk along a beautiful mangrove forest. It started raining so we decided against it. Next time! Our ride to the restaurant! Reminds me of Loboc River! After a few minutes, we finally arrived at the floating restaurant! Woots! 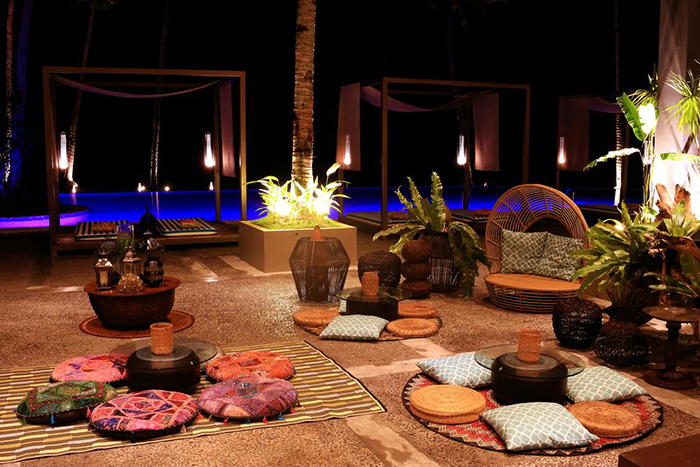 Love the ambiance though! Very chill and close to nature. Plus, you have the famous & historical San Juanico Bridge as your backdrop! I love it. Our table! Sobrang saya po ni Sir Greg! Hehe. We feasted on local cuisines! Seafood galore! Yum. We took photos on the boardwalk. Boardwalk leading to the mangrove forest! 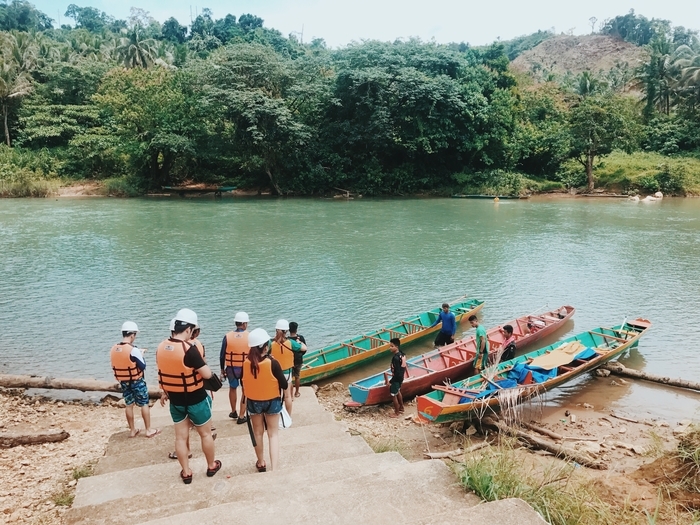 You could also rent a kayak and paddle along the San Juanico Strait! Headed back to the hotel after, rested for a bit, freshened up and then met up with the gang at Samsara restaurant for the hotel's dinner buffet! The food was amazing and while dining we were treated to amazing performances and a spectacular fire dance show complete with fireworks after! 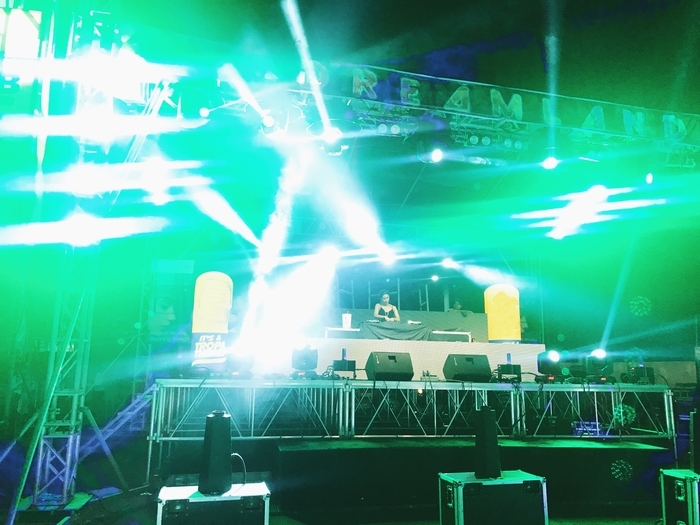 It was the perfect way to spend our last night in Tacloban. 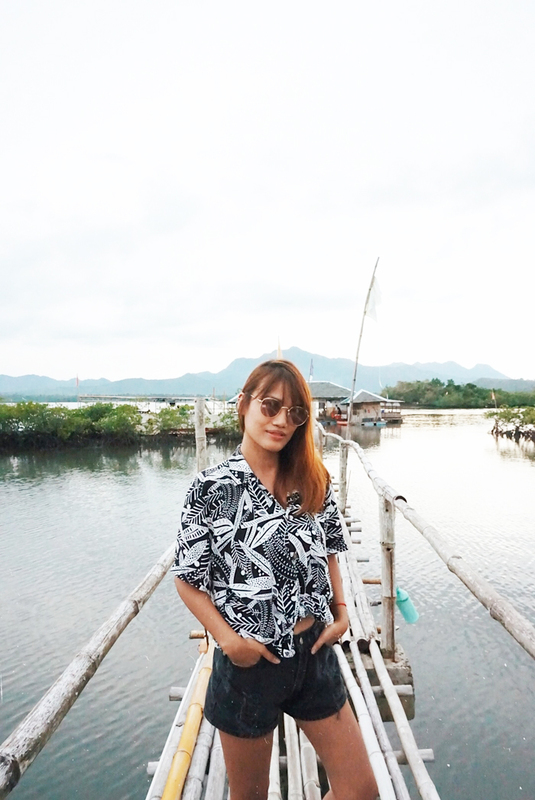 See the San Juanico Bridge in style! We boarded this fancy banca, sailed along the San Juanico Strait and saw the San Juanico Bridge up close and personal from underneath! Seph flew his drone! Ganda ng drone shot nia! It was my first time to see this historical bridge and it was as magical as I imagined. OMG what a sight. So beautiful! After the cruise, we were welcomed by this delicious boodle feast! YUMMM. *AirAsia flies to Tacloban from Manila 5x daily & from Clark 4x weekly!